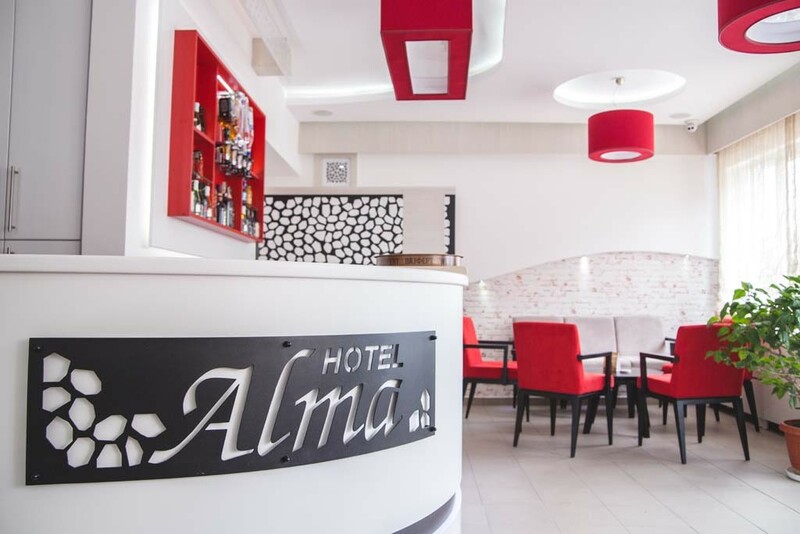 Alma Garni Hotel with open arms will welcome and accommodate everyone who wants confortable and pleasant stay in Pirot. Brand new building of Hotel, built according to international standards, occupies 1000 m2 first guests arrived in May 2014. Location of the Hotel was carefully chosen, so that can meet the demands of the business people, who are one of the primary consummation group. The hotel is located in a strategic location, surrounded by business and trade area, near the Free Zone Pirot and Tigar Tyres ( Michelin), across the main train station and the customs office of Pirot. The main bus station is only 600 meters away, and the famous Dairy School, known for its traditional cheese production Pirot , is only 2 minutes walk from the hotel. Connection with downtown is excellent, so You can be easily reach Center of Pirot by car in 5-10 minutes. On Your demand friendly staff of the hotel will provide you with a cab, which will take You to desired destination at best price. Many touristic agencies from this region are interested in bringing their guests to Garni Hotel Alma precisely because it’s Excellent location. Garni Hotel Alma operates on the with bed and breakfast principle. Service category is reflected in comfortable accommodation capacities and staff that is always there for you. Nine double bed, eight single rooms and six single bed suites are our accommodation capacities. We provided twenty parking spaces for our guests. Parking spaces are under video surveillance. Both, rooms and apartments have a private bathroom, modern brand new inventory , LED TV, mini fridge, aircondiotion and telephone. All apartments have a small kitchen equipped with microwave and required kitchen cutlery. Guests can choose between smoking or non smoking room. Breakfast is optional and served according to pre – completed questionnaire. 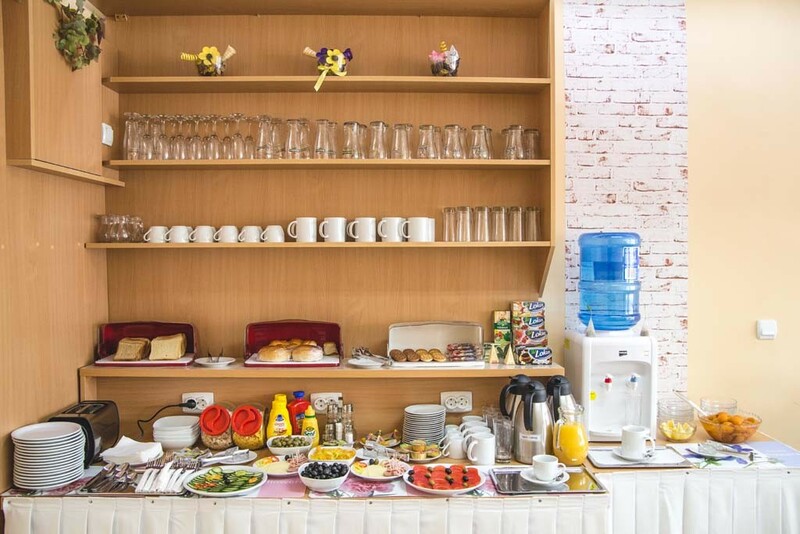 Our menu offers several breakfast dishes in accordance with modern lifestyle. Breakfast is served in the Hotels’ dining room, every day from 6.30 to 8.30 . Guests can spend their free time in the warmer part of the year in a pleasant green courtyard and for socializing and relaxing at disposal are two lobby bars with coffee machines, seeting sets and a large SAT – TV. For the safety of your valuables, you can use the safe, placed at the front desk . Satellite TV and wireless internet access is available in all rooms of the Hotel and is free for all guests.